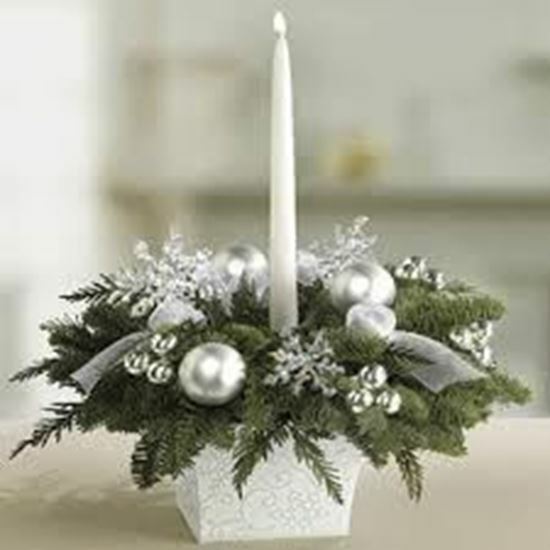 This Christmas, send your loved ones and holiday wishes with this beautiful Christmas centerpiece. Simple and elegant. Height of the candle is 30cm, size of the container is 14*14 cm.